Observe obstacles, be patient and time your run to avoid obstacles to clear each floor in this platform game. 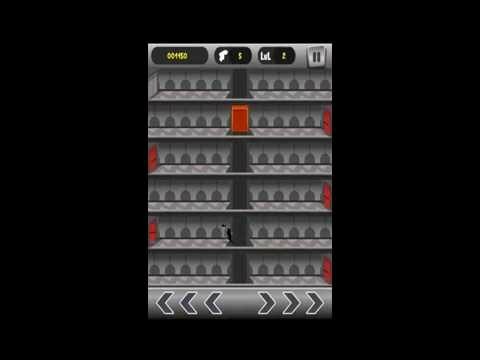 Clear each floor dodging obstacles like lifts, fire, spikes, electric poles. In this version you have 50 challenging levels to complete with each level testing your patience and timing. Touch anywhere on left half of the screen to run to the left end of the floor and right half of the screen to run towards right end of the floor. Running directions can be changed any time during run. Share your score with you friends on facebook. -With Bluetooth on, game crashes occasionally.